Local Businesses in the Town of Geneva are partners with the residents of the Town sharing the responsibility of maintaining the high quality of life and environment which exists within the Town of Geneva while providing needed products and services required by the residents and visitors to our area. Local Business is an important component to the financial stability of our community both in terms of employment of our residents and the businesses contribution to the stabilization of our tax base. 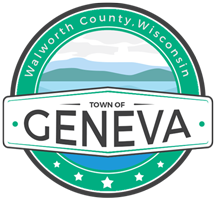 Please show your appreciation of our local Town of Geneva Businesses through your continued patronage of their establishments and use of their services.